SCENATET is collaborating with the talented Danish/British composer Kaj Duncan David and the Berlin-based director Thomas Fiedler on the development of a new audiovisuel music theatre piece called Thus Spoke Golem. 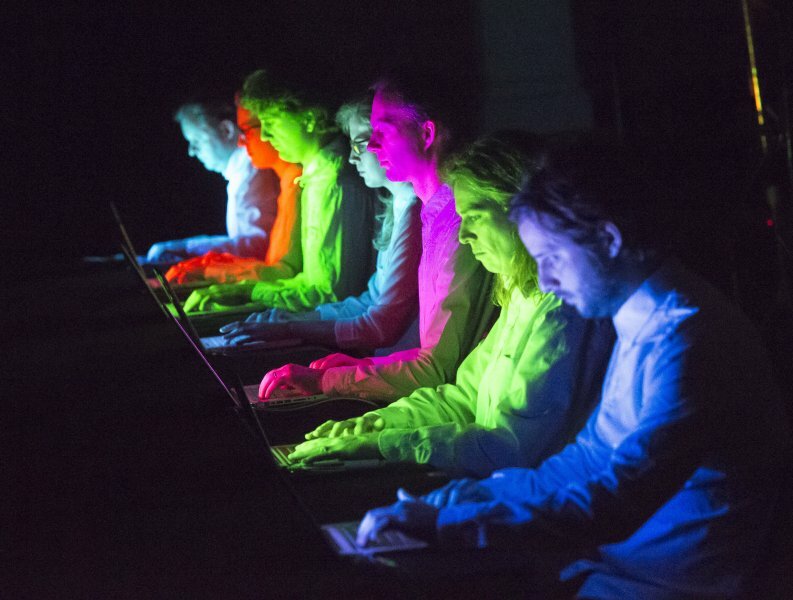 SCENATET has previously performed different works by Kaj Duncan David at various occasions: The powerfully choreographed No News Good News for four blindfolded performers, premiered by SCENATET in 2014, and the sparkling, synthetic Computer Music for seven performers with laptops serving as both score, instrument and colorfull lighting. Taking themes and ideas of the futurological novel GOLEM XIV by the Polish sci-fi author Stanislaw Lem as point of departure, Thus Spoke Golem explores the relationship between humankind and increasingly dominant technology as well as artificial intelligence. Somewhere between audiovisual installation and electroacoustic music theatre, the piece revolves around Stanislaw Lem’s super-computer GOLEM XIV, represented in a sound-light-machine. Trough the interplay between musicians, performers and the technological apparatus, Thus Spoke Golem becomes a large-scale theatrical performance, exploring the different possibilities inherent in the synchronicity between sound, light, video and action along with a continuum between human agency and computerized automation.